A non-competitive program for children nine months to twelve years. We strive to improve self confidence in every child through movement, play, and fun! 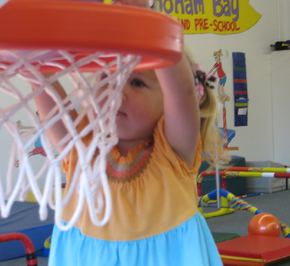 We'll have your child building physical skills in a fun and positive environment. Every child should have the chance to experience success! Children will enhance motor development and expand their social awareness through movement exploration, songs, parachute games, ball play and bubbles! The child attends these classes with a parent. Learn some skills and get energized! 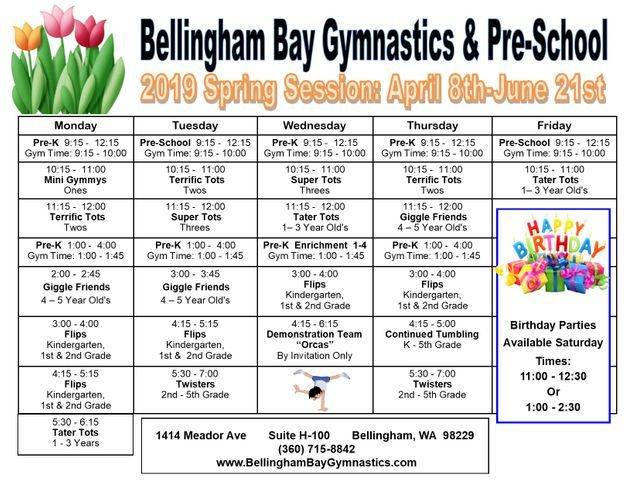 These classes focus on building gymnastic skills in a fun, positive environment. 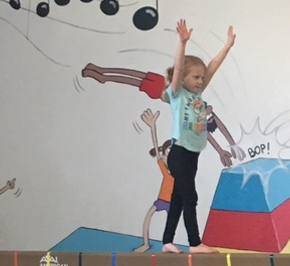 Our curriculum based program includes tumbling, apparatus skills, obstacle courses and games. 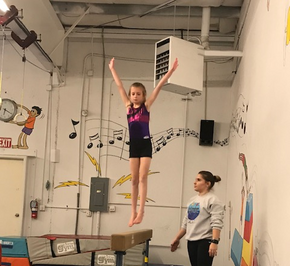 Beginner and intermediate tumbling and apparatus skills are emphasized as students develop conditioning, poise, confidence, and balance in a noncompetitive and supportive setting.